We recently wrote a post on 10 of the most beautiful castles in Italy—and while those castles were beautiful, there are many more in Italy! 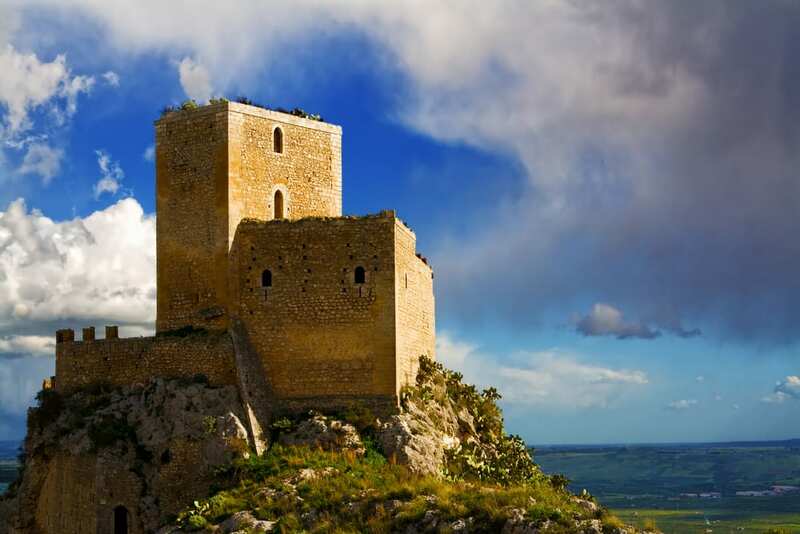 Here are five more of our favorite, most picturesque fortresses and castles across the country, from Trentino to Sicily. 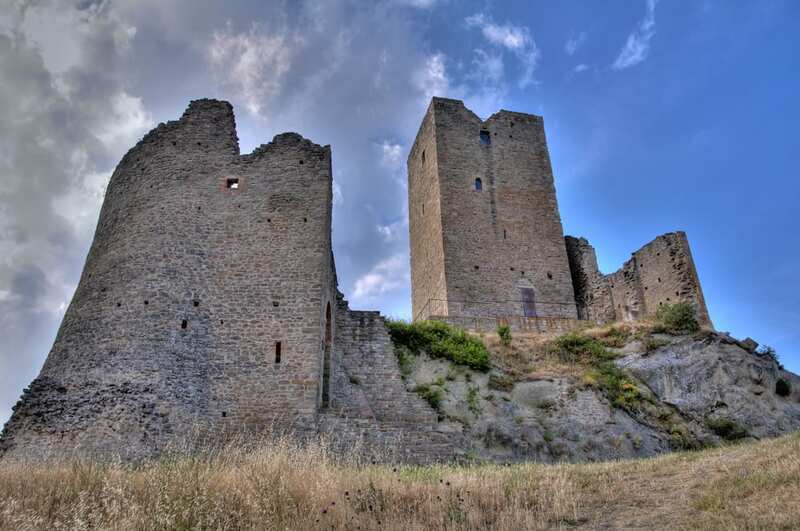 We’ve said before that one of our favorite things about Emilia-Romagna is the number of castles here… but the ruins of this 11th-century castle, which hosted none other than Pope Gregory VII in 1077, is one of our favorites! Already in ruins by the 17th century, it’s a haunting reminder of what once was. 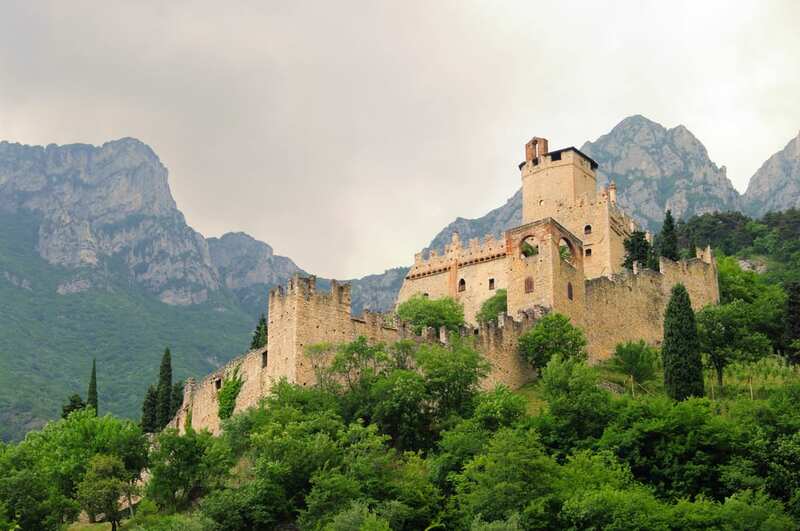 This gorgeous castle, located in Trentino in northern Italy, dates back as early as the 12th century; it was conquered by Maximilian I of Austria in 1509, but returned to the Castelbarco family in the 17th century. For switching hands so much, we have to say it looks pretty good! While much more humble than the other castles here, we don’t think you could find a prettier castle view in Italy! This medieval tower overlooks the plain of Catania, an important strategic point for the eastern part of Sicily. 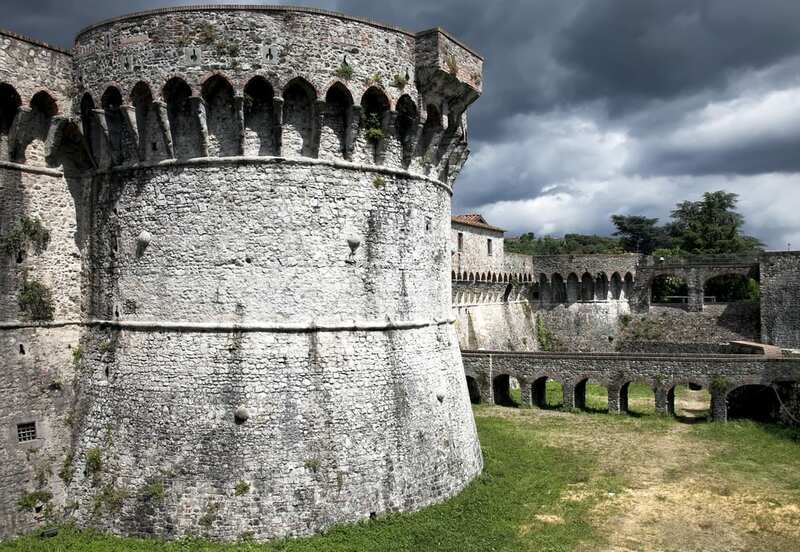 This castle in Ferrara, Emilia-Romagna was built in the 14th century, after the ruling d’Este family—having just put down a popular revolt—became worried that their current fortress wasn’t quite enough to keep the people at bay! Today, you can explore the castle and its elaborate rooms, courtyards, and even dungeons. The town of Sarzana, located in Liguria, switched hands often throughout the Middle Age, belonging to Pisa, then Florence, Genoa, and even (in 1814) the Kingdom of Sardinia. So it’s no surprise that a fortress was buit here! Which castle is your favorite? Let us know in the comments!